I really enjoyed Rebecca’s debut book, and was pleased to get this one for review. She’s got the same way of taking what I thought I’d think and feel, and turning it upside down in this story as in This Secret we’re Keeping, and the same type of ending, where its not cut and dried HEA but indications that everything will be OK in time. Secret was a little ambiguous in the ending, which I don’t really like, but this one is more distinct in which way the future looks set to fall. So to begin, even though I felt so sorry for Alex, after his terrible brain injury I still thought he was a jerk. That’s tough judgement on my part, but it seemed as though he didn’t want to help himself, was content with who he was now. At times he was so awful to Molly, didn’t seem to see her as his wife, someone he loved, his equal, but treated her as though she was simply there to be at his beck and call. Then moments of the old Alex flashed through, and I could see the man he was, the man Molly fell in love with. Things were so hard for her, she’d memories of the man she married, and yet though he’s there with her, wears his face and body, he’s not the same man inside. That must be so hard to deal with, especially when after three years its unlikely he’ll go back to who he was before. Molly was wonderful, but at the point we join the story she’s at the end of her tether, struggling to keep a job, where the boss is clearly out to get rid of her. She doesn’t like what she does but its an income, and with Alex not working they need it. The cottage too, his old family home which they’d planned to renovate, is falling apart, not just the fabric of the building but all their appliances, and that adds to her stress. Alex is in his own little world where everything revolves around his wants and needs, just thinks Molly is nagging, and is awful to her. He spends his days doing nothing really, going to pub, playing golf, and what really upsets Molly too is when his ex keeps flirting with him. 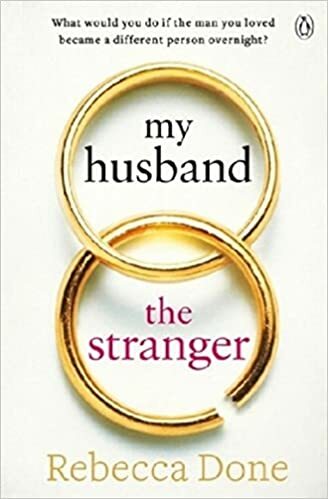 When they moved back to Norfolk from London he was irritated at Nicola’s attempts to text him, to be friends, running past their house in her daily jog, bumping into him wherever they went, but now he seems to revel in it and poor Molly is so hurt. It doesn’t matter that she understands why he’s like this, she’s just struggling, hurt, upset and I wondered just how long she could carry on. It wasn’t Alex’ fault, but how he is now isn’t how he was when they married. Molly’s hanging on hard but her parents and friends keep indicating that maybe its time she looked out for herself. They want her to go back to London, back to the job she had, which she loved, where they could help share the burden of Alex. Then there’s Graeme, Alex’ twin. He seems a nice man, but in the past and present format the novel is delivered there are hints that actually the man we see now isn’t exactly the truth, we see the resentment he has for Alex . Their dad Keith always favoured Alex, and its clear that Keith resented Graeme, even though he’s the one that stayed in Norfolk to look after him. I wondered why there was such bias, but we do get the details well into the novel and I so felt for Graeme then, it was really unfair. It wasn’t Alex’ fault though, he didn’t play any part in their dad’s bias, couldn’t change it, yet Graeme resented him for it. Its a great story, slowly bringing us deeper into the lives of the three main characters. I so felt for Molly, she’s in a situation that happens to many people in reality, and she’s doing her best. Alex – well, even though I felt for him, for what he’d lost, he didn’t know what he’d lost. To him this life and how he feels is normal, though he does know what happened and how he’s changed, he just doesn’t seem to see the effect it has on others. I wanted the miracle cure, something to bring back the lovely man we knew from the past sections of the book, the man who couldn’t do enough for Molly, who adored her and was always planning little treats and surprises. You just keep wondering as you read, Is this how their future is? Can they move forward like this? Will he ever get back some of the man he was, become at least the loving man that adored his wife? There are little flashes when we see he’s in there somewhere, and then he does or says something really hurtful and poor Molly is crushed. It made me think – how would I react? I’d like to think in the same way as Molly, but who knows? She’s currently married to a very different person, and may never get the old Alex back. Can she live the rest of her life on this teetering knife edge? Its a solid read, slowly drawing the reader in until we just don’t know what’s going to happen, how things will pan out, and of course there’s some trails laid that may or may not change the future, depending on choices made. Stars: Five, a solid, very realistic read, that made me think how would I react.